For some reasons, you might want to upgrade your Samsung Galaxy S6 or S6 Edge using CM ROM or any other custom ROM available for either of the phones, here, I explain the step by step guides on how to upgrade or switch your Samsung Galaxy S6 or S6 Edge to CM ROM or any other custom ROM available. Although, this tutorial has being put simply enough and certain points are noted and explained where necessary meanwhile, if any point is not clear to you, kindly ask your question in the comment box/section. 1- Custom Recovery: before you can be able to flash custom ROM on the phone, a compatible custom recovery must be flashed on the phone. In my opinion, I recommend TWRP recovery for the Samsung Galaxy S6 or S6 Edge. 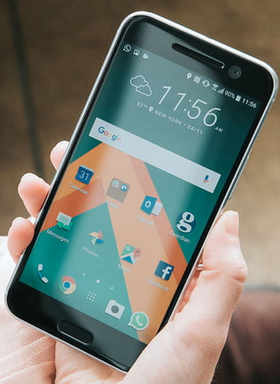 Learn how to flash custom recovery on all Samsung Android devices here. 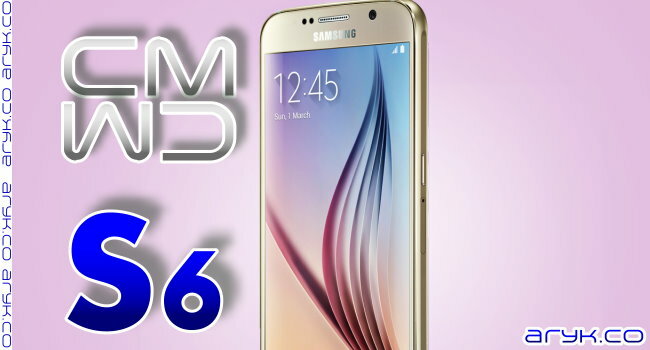 2- CM ROM or any other CM Based Custom ROM: now, you need to download CM ROM or any other CM Based custom ROM specifically for either Samsung Galaxy S6 or S6 Edge. You may download the ROM either on the phone or onto your PC. 3- GApps: GApps are packages designed for every android versions. GApps are mostly required for every custom ROM to function properly since all Google apps are bundled in it. You may download GAPPS compatible for whichever ROM you have downloaded here. 1- First, if you have downloaded the custom ROM and GApps from the link above, you should now move them to the root of the SD Card or the Inbuilt memory. 2- Boot to Recovery: remember that you need either of the compatible custom recovery flashed on your Samsung Galaxy S6 or S6 EDGE, before you flash any custom ROM on it. Now, you should boot to recovery. You may use ClockWorkMOD Recovery or TWRP Recovery. 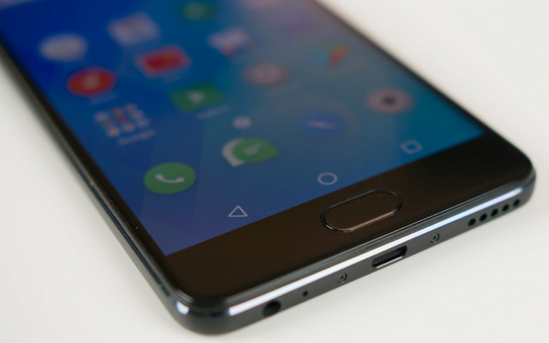 CM Recovery is not yet available for either Samsung Galaxy S6 or S6 EDGE. i- Wipe Data/Factory Reset the Phone. On TWRP Recovery, simply select "Wipe". ii- Select the "Install from SD Card" or "Install" for TWRP Recovery users. iii- Navigate to the downloaded ROM and select it. Wait few seconds for the installation to complete. iv- Following the similar routine, flash the GAPPS on the phone as well. This is for those that already have earlier version of the same CM ROM or other custom ROM of the same kind installed on the Samsung Galaxy S6 (EDGE) and wished to upgrade the ROM again. i- In the recovery, choose "Install from SD Card" or "Install" for TWRP Recovery users. ii- Navigate to the upgraded ROM you downloaded and select it. Wait few seconds for the installation to complete. iii- Following the same routine, flash the GAPPS on the phone as well. iv- Wipe Cache/Delvic cache and then, reboot the phone once that's done. Meanwhile, in either case, I suggests that you back up your files in case you have corrupt partitions during the upgrade. Here is detailed tutorial on how to backup your SMS Text Messages and backing up your Whatsapp messages is here. You may also want to backup your applications, here is how to back up your applications.